Donati's comet, artwork. Discovered in 1858 by Italian astronomer Giovanni Battista Donati, this comet was one of the brightest seen in the 19th century. 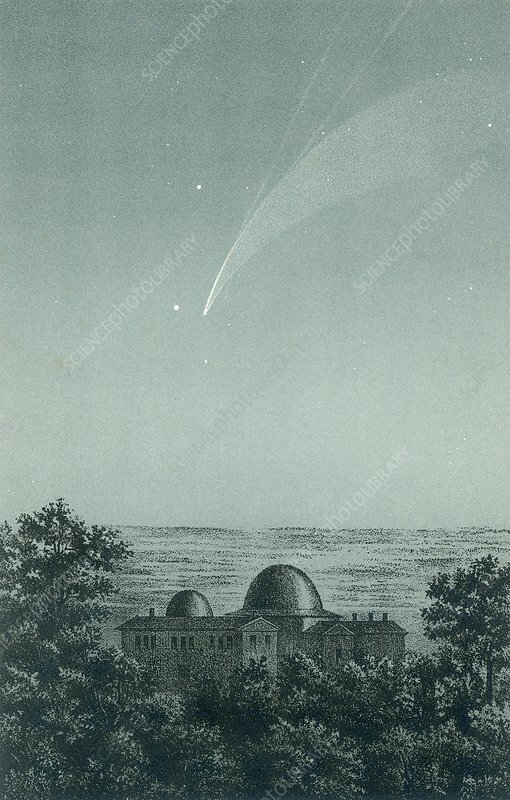 Donati's comet passed nearest the Earth on the 10th of October 1858.